After seven years of development, the day came for the game developer Grinding Gear Games. Their crown jewel and heartchild Path of Exile could finally be called. Beta testing of the game has been going on for several years and it has been a quiet, careful mood that this free game is at least as good as the mastodont Diablo III. There is so much depth and many exciting innovations in this genre that you simply could not see everything. The most exciting and unique with Path of Exile, compared to other games in the same genre, is the class and ability system they have created. You start the game by choosing one of seven different classes, but the class you choose does not matter to the game style you eventually end up with. For example, you can choose the thin witch as a class, but the way you get the characteristics and abilities of the game, combined with an extremely complicated and great ability card, allows you to build your figure just the way you want. Thus the witch team can swing massive axes with the greatest sense of self-esteem. Ultimately, the class election has something to say just where you start in the evolution map, as well as the gender and appearance of your game figure. Marauder is a difficult braute of a man who looked like he ate other grown men like snacks. I like to play tough, shield-bearing characters in this kind of game. A figure that can withstand a good amount of beating before kneeling. Your character wakes up on a beach. The ship he sailed with has sunk, and he becomes a shipwreck in the country of Wraeclast. A little nice place infected with zombies, scattered beasts of varying size, cannibals and a whole bunch of other things that want to make his life as short as possible. Fortunately, there is a club on the beach, and it does not take long for mosses to head towards the nearest free port. Musa is the main instrument, believing the genre. You click where you want your character to move or on the enemy you want to take off days. Right, center and left mouse buttons can all be attacked. As you move on, you also get more attacks that can be associated with other buttons and keys. The way developers have solved how to get used to new attacks is intuitive and interesting. Instead of unlocking new attacks as you step into the level of experience, the attacks are tied to gems. These gems are found in the colors red, green and blue, and can either be stolen from enemies or obtained as a reward for accomplished missions. On the equipment you pick up, there are often “sockets” in one of the three colors. By placing gems of the right colors you can use new attacks. For example, my figure got a red gem early with the attack “Ground Slam”. This was placed in a red “socket”, and thus the attack could be used. After using that gem for a while, the strength of the attack also increases. For each level you do a little more damage, but it also costs more energy to use. All shapes can initially use all attacks as long as you meet the minimum requirements. To make the system even more open and complicated, there are also gems that are not an attack in themselves, but which, among other things, may cause other attacks more harm, or give life back to your figure. These must be placed in “sockets” that are linked to the attack you want to modify. There is always a good balance between good equipment, proper sockets, and what modifications and connections you prefer. Take my figure as an example. Initially, “Ground Slam” and “Heavy Strike” became my main attack. After many hours of play, it had not changed, but because other gems were paired with my attacks, the properties of my attacks have changed. When I use “Ground Slam,” my figure also returns life when an enemy hits and there is a big chance that the enemy will be ignored. “Heavy Strike” also gives me life, but that attack can also fool the enemies. There is a very depth in the system, and the chances are great that you will scratch your mind over all of the options you are facing above. As if that were not enough, you also get points every time you go up to the level of experience. These points will be placed in an evolution card that is big, complicated and overwhelming at first glance. The options are huge, there are literally hundreds of possibilities. Everything in the ability card is passive features like more health, more damage with ax or swords, more magic poins and so on. As you take time to learn the map, there are a variety of different styles to choose from. As you take the time to learn this map, there are a variety of different styles to choose from. As mentioned earlier, my figure was built with the goal of becoming a stew of meat that tolerated a noisy. Thus it was natural to choose nodes that gave me more health or more harm with hammer, who soon became my favorite weapon. The top level is per day 100, and there are many points that will eventually be placed. Should you choose node and directions in the map of evolution that do not work with your figure, you can basically end up with something you will not get on with. Then the only option is to start over and plan better next time. These mistakes are best seen when you get into trouble. As in Diablo III, the story and game are divided into three different parts and when you finish the last one, you begin again in Part 1. The only difference is that you have all your levels and equipment with you and the difficulty level is turned up a crack. The first two difficulty levels did not match the challenges of the world. That’s when you get started on “Merciless”, the last level of difficulty it’s starting to be challenging. As you get through it, a new area opens where you can complete different maps to get even higher in level. These maps are the hardest found in the game per today. However, should you have problems along the way or just like a company, the game can be enjoyed with up to five other players at the same time. All areas, maps and boss enemies can be played together with a gang mate. The experience is very different when you play with a group. Difficulty could be screwed up even more, I thought it was chopped too easily when someone else helped. The areas you go through are varied, the same with the enemies you meet. You have to think about how to approach different groups of enemies so that you do not meet death too often. The controls work very well and the figure does what the player asks for. The only thing that can be a problem and an annoyance in matches is that the game stops quite often. It can make certain situations become much more exciting than others because you suddenly bounce up somewhere else than you thought you were, with much less life than you thought. Beyond this, the fighting and controls are very well put together. The animations may be chopped stiffer than Diablo III, but sound effects and funny enemies make up for this. 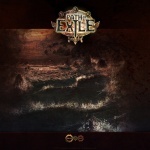 Path of Exile oozes love and good craftsmanship. It has many hours of quality entertainment and is a game I recommend to anyone who is looking for an alternative to Torchlight II and Diablo III. The way developers have solved the classroom, and the huge amount of choice it offers is very good. It may seem overwhelming to begin with, but once you get to know the system it’s amazing. Sitting and popping out alternative shapes, other ways to play and ways to go is fun in itself. Even more fun is to test the theories in practice. The combat system also works very well. Beyond the game, you must expect to face a tough challenge. 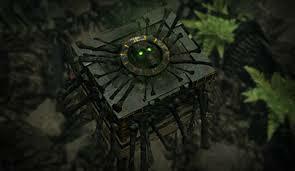 The enemies are many and varied, and spread across many different lands. The graphics are good, especially I like the gloomy dark hollow areas and the lighting there. The story is not all the world, but a good pompous dialogue and good voice plays help. In a way, the story in Path of Exile can be compared a bit with Dark Souls. It’s not necessarily what is being spoken that is exciting, that’s what you put in what you see and experience that makes the setting and the world so fascinating. Path of Exile is free, it’s well-stocked, packed with content and challenge, and is a very good alternative to anyone who likes or will test this genre. Are you excited to know the big update currently? It must be a pleasant journey. Just gather PoE currency for sale on U4GM to start your wonderful experience. If you have difficulty in buying PoE orbs, our 24/7 Live Chat will help you once you contact us. Have fun! U4gm.com is the leading site for video games, news and exclusive coverage of the sports gaming space. A sports game where you can do pretty much anything you want and more, FIFA Mobile is a game that everyone should play. 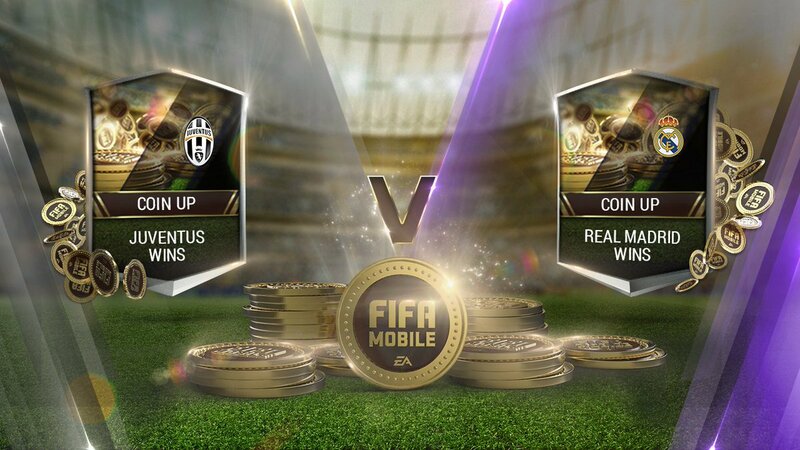 Naturally, the game world needs an economy system which is why coins comes into play in FIFA Mobile. Essentially, everything you may want or need is locked behind a hefty price of coins, which is why some rely on trusted sellers like U4GM to provide cheap FIFA Mobile Coins. Professional sellers of ingame currency like U4GM tend to employ only one method for transactions concerning FIFA Mobile Coins, and that is the ingame mail method. Essentially, you will get an ingame mail with the attached amount of coins upon the completion of your payment process. This method is simple and easy since FIFA Mobile uses an ID system which allows sellers to find customers easier amongst other players. Teleportation, players, equipments and pretty much every item and function within the game is powered by the almighty glisten of coins. With the games economy being as it is, it can be difficult to get the things you want at times. 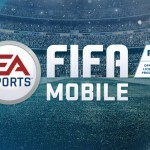 This is why people tend to turn to online currency sellers for their coins with one of the most popular FIFA Mobile Coins sellers being U4GM which provides its customers with a fast and reliable service all of the time and for dirt cheap. Buy FIFA Mobile Coins here! The War for the Atlas and the Abyss Challenge Leagues start in less than one day! Are you ready? We have also been concerned about the War for the Atlas and the Abyss Challenge Leagues the same as before. 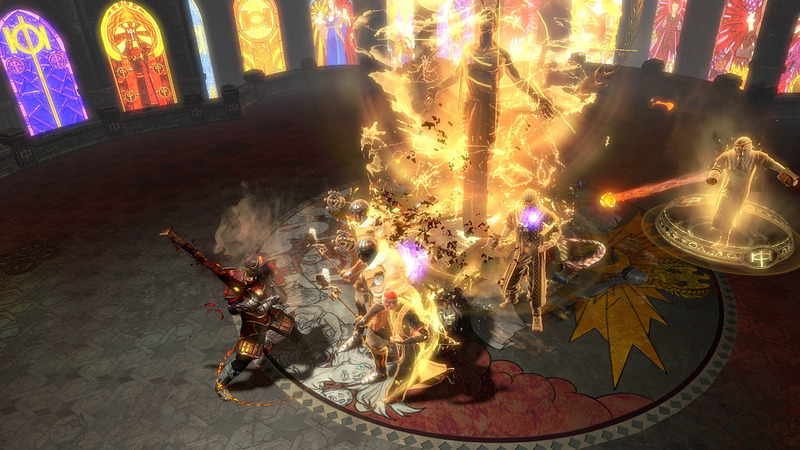 If you’ve never tried Path of Exile before, now is a great time to jump in. You can log in to Gm2v Gamer Online Store to buy some cheap Chaos Orbs. As usual, GGG gathered the necessary item filter and skill tree data to get you prepared. This post is predominantly designed for tool authors and advanced Path of Exile users. If you’re new to the game and not sure what to do with this information, don’t worry too much! 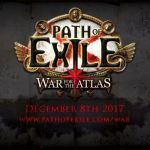 They’ll update Path of Exile’s built-in item filter in the game and the Passive Skill Tree on the website alongside the launch of The War for the Atlas. They’ve gathered the necessary item filter and skill tree data to get you prepared. If you’re planning to create build guides and item filter for this expansion, today’s news post will be useful for you! GGG listed upcoming changes to the passive tree in the 3.1.0 Patch Notes yesterday. If you’re a community tool creator, you can find the JSON data on official website. Emmitt has exposed this data for the community to use. You will be able to find it there. Active Skill Gems: Volatile Dead, Unearth, Despair, Lightning Tendrils, Cremation, Bodyswap. Support Skill Gems: Storm Barrier Support, Volley Support, Spell Cascade Support, Ancestral Call Support, Mirage Archer Support. The Ruthless Ceinture, No Traces, The Realm, The Eye of the Dragon, The Blazing Fire, Left to Fate. About Base Types and related Tier, you can visit the official website to see, where there are detailed instructions. The keyword is ‘ShapedMap’. Below is an example of how to include this information in your item filter. Note that the new generation of maps will not be displayed by using “Shaped Beach Map” for example, they must use the new property. In MU Legend, there are some nice features and you need to dig more into, and lots of replayability in the dungeons and loot chase. What’s more, MU Legend is in open beta today worldwide, and honestly it’s a nice little hack and slash adventure. U4GM is a legit and safe MU Legend Zen and MU Legend Redzen seller, we will guide you tips on how to pick a reputable website. 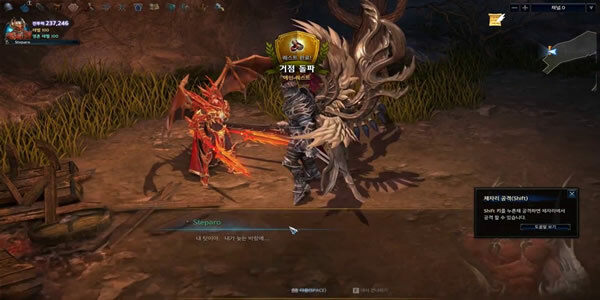 Tips on how to pick a reputable MU Legend Zen seller with no being scammed is often a popular concern just before players obtaining MU Legend Zen. Even some players are afraid of getting MU Legend Zen, just you choose the right place to buy zen, and anything is smoothly. If you want to understand one site is safe or not, you’ll be able to make a test. Just input your key words such as MU Legend Zen or MU Legend Redzen, and you will find ours web page is in the first in the google. Ours’ reside chat is 24/7 online, which is practical for you to seek advice from here or place orders at any time. If one web page can not reply you in time or delivery the redzen to you, I think this site’s service is not so excellent. If one particular website hasn’t solve trouble capability, I consider this site is also not pretty excellent. However, we are one of the best MU Legend Zen seller, and we will never let you down. Players’ critiques are very crucial, and they will evaluate one website is trustworthy or not. We have been received more and more good praise from players throughout the world, believe it or not, you can check ours comment from the here, and visit the official website here, then you can locate many internet sites give ours high appraisement. EA Has Released Madden 18 Ultimate Team Toy Figurines,this is the first series toy. These toys were spotted at Walmart by a forum user on Reset Era. These figurines are officially licensed by both EA and the NFL. They are being branded as part of the “Ultimate Team Series”. Aside from getting a cool toy, they also unlock some stuff for you to collect in the actual Madden 18 game itself. Each figure includes a code to unlock “5 squad packs” for you to use in Ultimate Team mode. What is more interesting is the cool toy have seven figures in total ,including Tom Brady, Russell Wilson and more.